We take a look at past ECU Joondalup games, and this week we go back to April 2010 when the Jacks travelled to the Swan Valley and came home with a 2-2 draw against Swan IC. 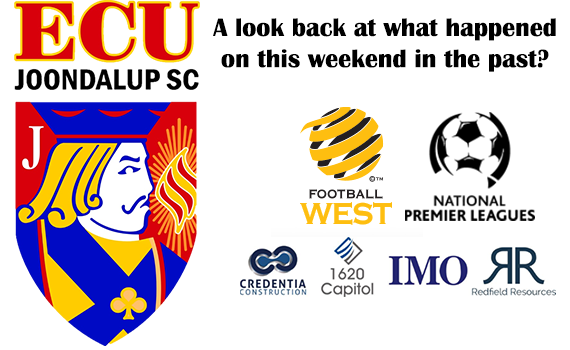 The points were shared at the Swan Italian Club where Swan IC and ECU Joondalup played out a 2-2 draw. Tom Shepheard and John Thornley made the most of first half defensive lapses to send the teams into the break at one each. It appeared as though Dale McCulloch had earned Joondalup all three points by netting with five minutes remaining, however, Swan substitute Liam Boland struck in stoppage time to grab his team a point. The home side took the lead on 35 minutes Shepheard header went between goalkeeper Andy Petterson and Jon Higgins before hitting the base of the post and deflecting into the net. But six minutes later the Jacks pulled level when Michael Currie cross picked out an unmarked Thornley to lash in from inside the 6-yard box. Both sides had early chances in the second half, Rory Mouttet created an opening for the home side by crossing to Alex Cocking but his header was straight at Petterson. Phil O’Callaghan then blasted high from distance as Joondalup enjoyed some good possession, before Mouttet’s last-gasp tackle robbed Scott Bushby of a shot. Swan came back into the game late on but their only real chance came arrived on 80 minutes when Brendan Craig’s cross from the left deflected off Charlie Comyn-Platt and evaded an unmarked Boland at the back post by the narrowest of margins. The game was in desperate need of a goal to spark it into life, and with five minutes to go McCulloch’s low 18-metre shot evaded ‘keeper Cory Hugo after he’d been afforded far too much space in midfield. 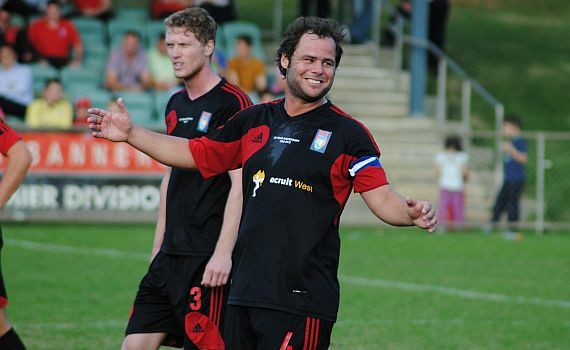 Thornley then stung the gloves of Hugo as Joondalup attempted to add another, and a few minutes after Jamie Watt blazed high from just in front of the penalty spot. It looked like the Jacks would come home with the points but in stoppage time Boland kept his nerve to slot past Petterson after being sent clear by Shepheard’s flick from a long Hugo clearance. Swan almost nicked all three points when new recruit Nick Joshi crossed for Darragh Kenevey, whose header was just wide.